Me too Clive! You are making a nice job of it! 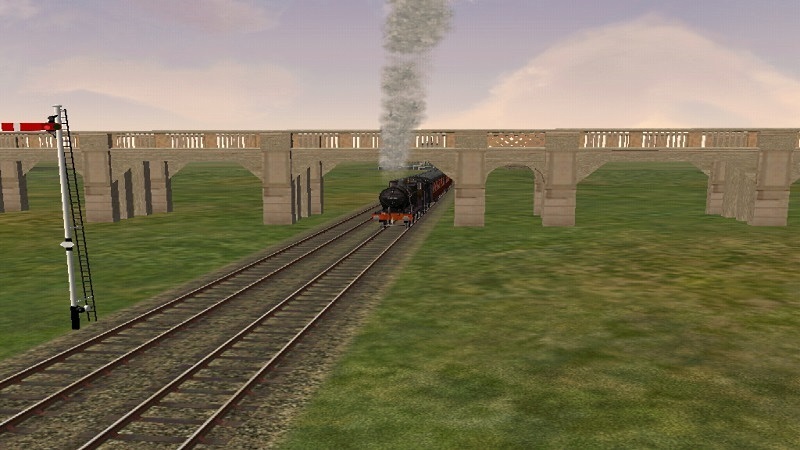 This evening finally finished the line from Rugby to Market Harborough which completes the 3 arms radiating from Rugby that I planned to include in the route: to Leicester, Northampton and Market Harborough. 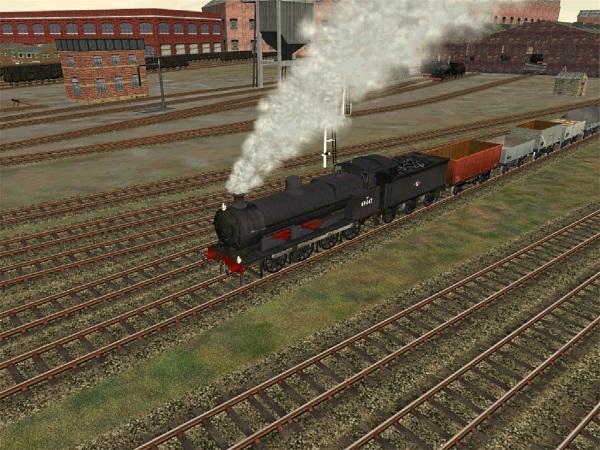 Some grabs of a run by BR Standard 2-6-2 84029 on an early morning service from Market Harborough to Rugby. Lubenham, looking from the station masters house over the goods yard. 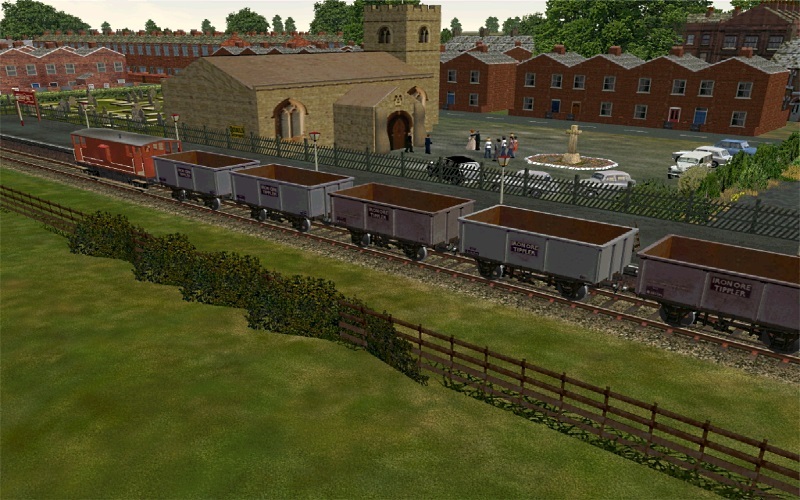 Welford, the Ellis and Everard coal depot. Running into the Market Harborough bay. 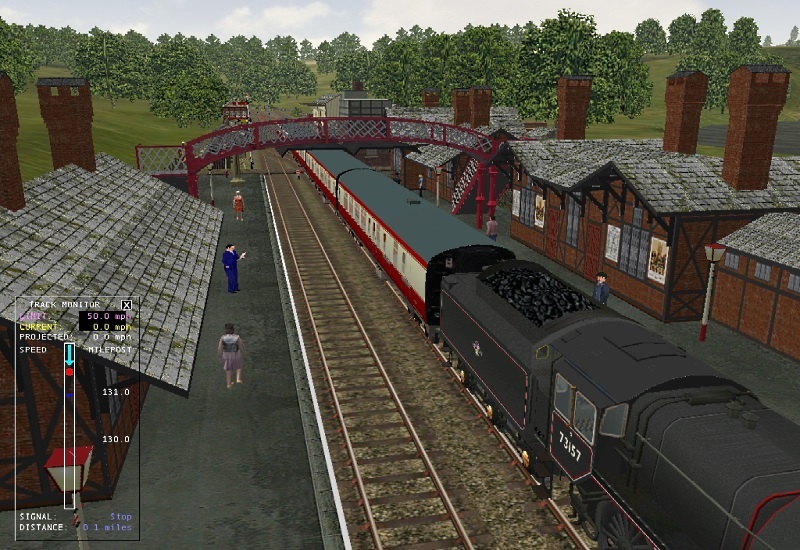 Now back to Northampton to start the scenery for the lines to Market Harborough and Wellingborough. 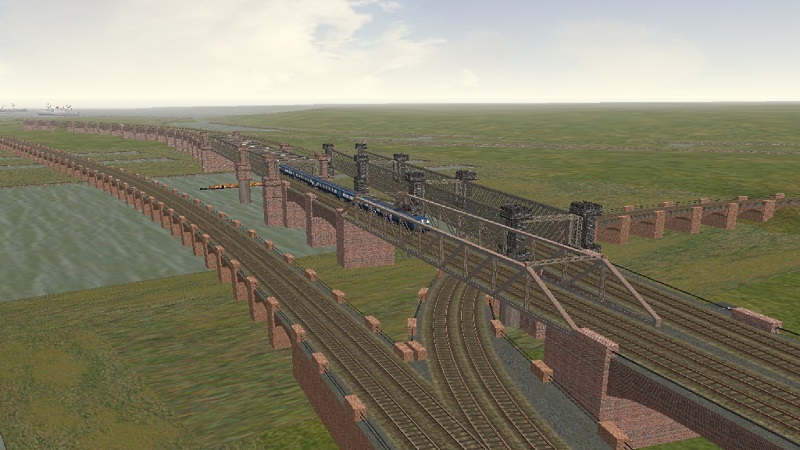 These 2 bits will finish the extension to the west of the Midland Main Line. I really like that flying junction. Continues to impress Clive, and thanks for sharing. Nice to see you have got the shovels out again Clive. Good way to work off all the turkey and mince pies! What with Niall's route, Woodhouse extension and your V2, we are certainly getting some cracking routes. Keep up the good work mate! Don't forget Dannys South East route. Mine's planned to finish early summer, so hopefully Danny will get his house moving finished soon to spread them out a bit. Also, I think, Dorset coast is with UKTS. 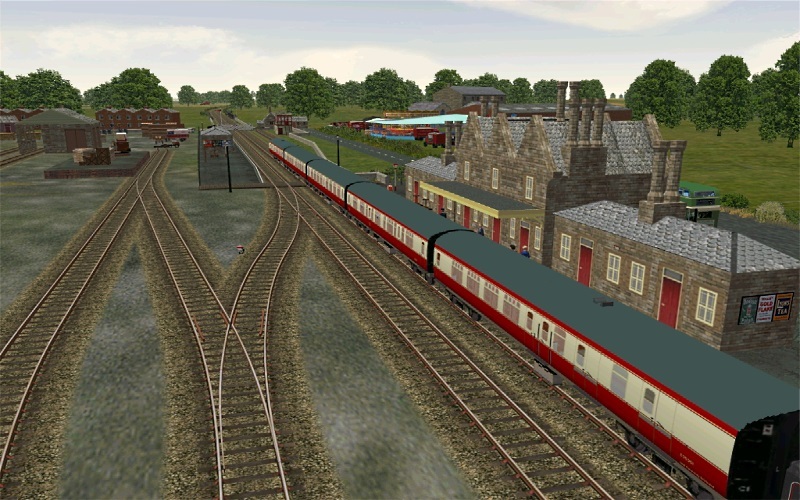 Could be a good 2015 for us MSTS diehards .
. . . and don't forget that North West England V3 is also with UKTS! 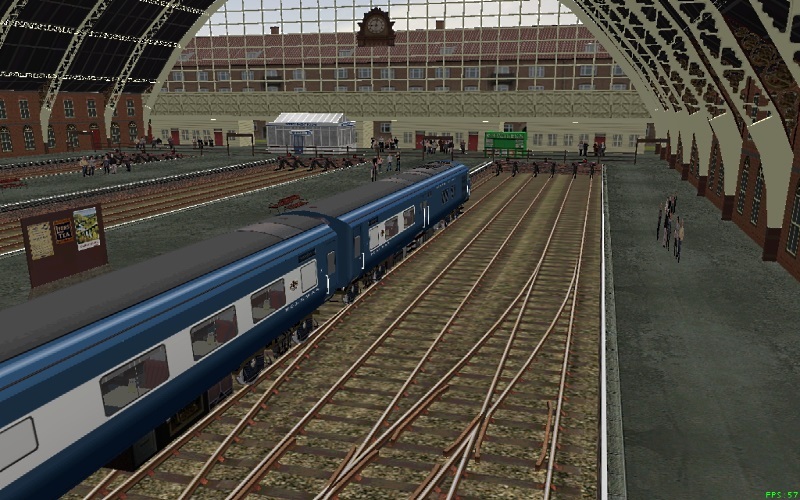 There is also MES a steam version of MEP in the pipeline,still along way off though,it will be a DVD version complete with route,stock,and activities,also it is completly stand alone,so will not overwrite MEP+. 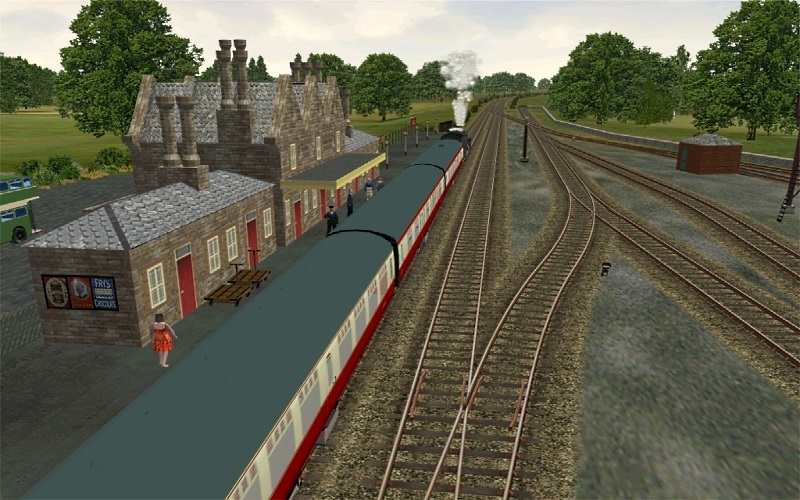 Yup looking forward to the MEP steam revision. The only routes i use these days are those by casperdog and MEP and only then in OR. 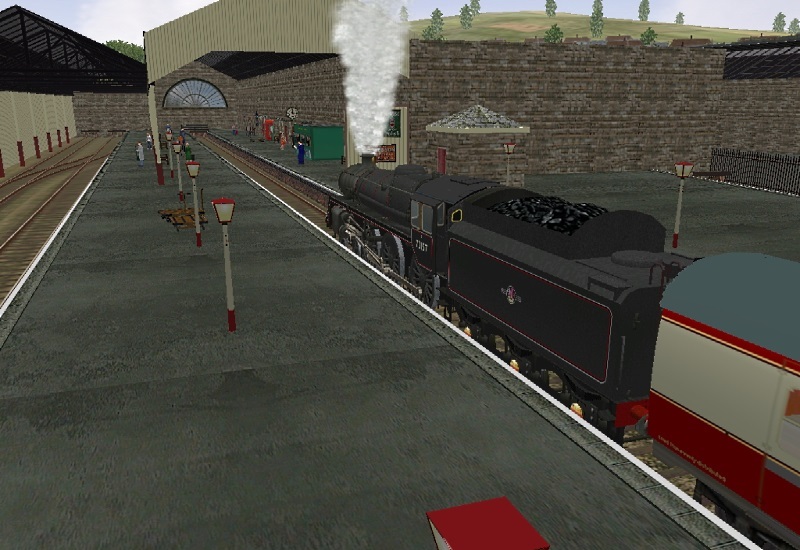 Also don't forget, the updated version of The Withered Arm, that is supposed to be with UKTrainsim for approval. Plus we have Don Hinton's Stoke - Nottingham, also in the building stage. 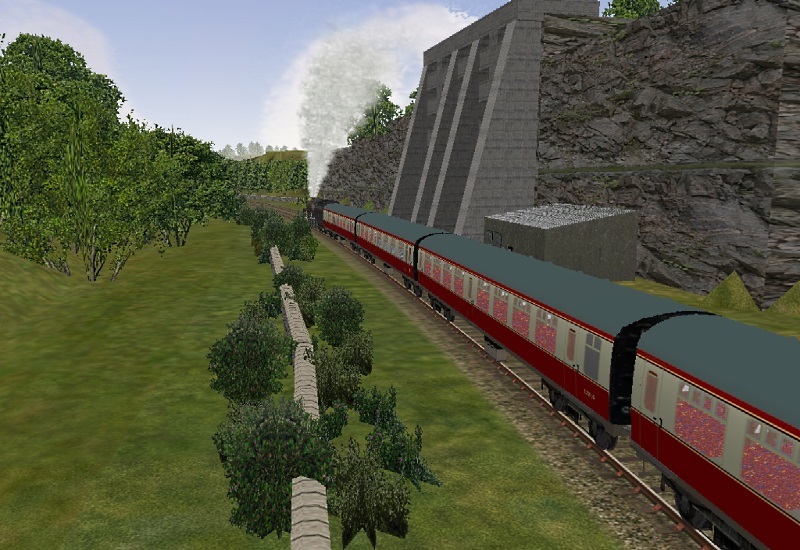 Just to say I have been testing Don's route,there are still some scenery to be put in between Stoke and Macclesfield and some other places as well,not sure whether it will be using the BD stock or some of it's own stock. Northampton to Wellingborough London Road next. Continues to impress. Thanks for the update. 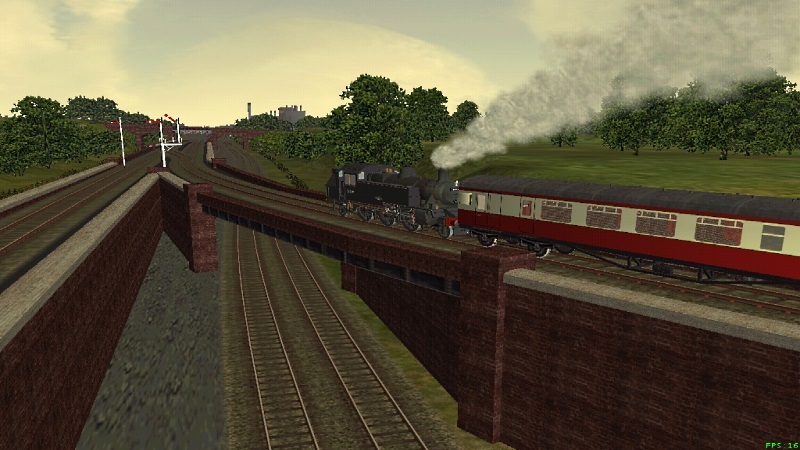 I've pressing on towards Peterborough after finishing the section of line from Northampton to Wellingborough, London Road. A significant weekend as that completed the route extensions to the west of the MML. The first largish station is Irthlingborough so a couple of grabs. 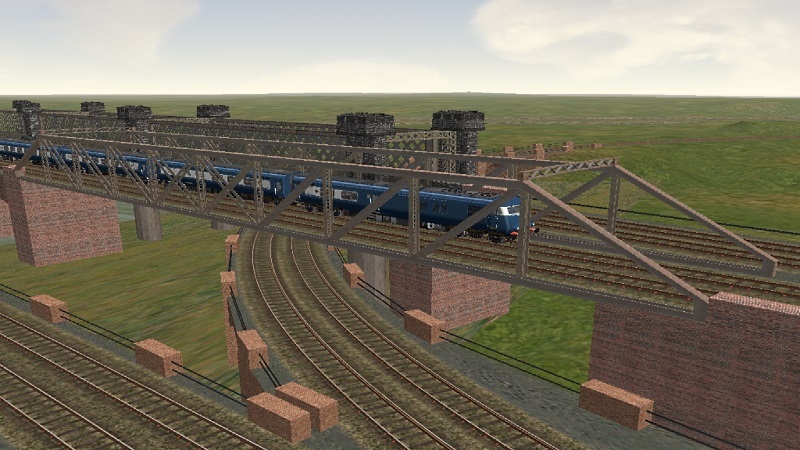 Departing towards Northampton with Irtlingborough viaduct in the distance. The line from Northampton to Peterborough is about 45 miles, with 16 stations and (from the timetable i'm using) 6 passenger trains per day, in each direction . 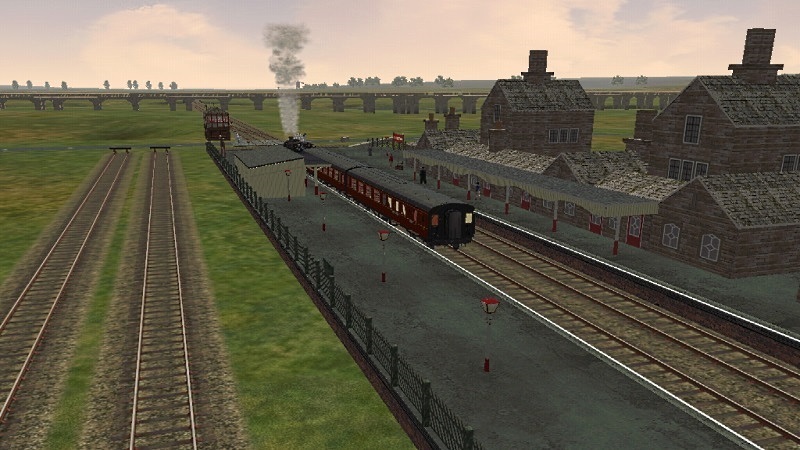 I've only managed to find 1 photo of a passenger train running on the line which was a 4F + 2 coaches which will be replicated in the activity for this section. Obviously, a well used line . . . and very nice too! Another update. 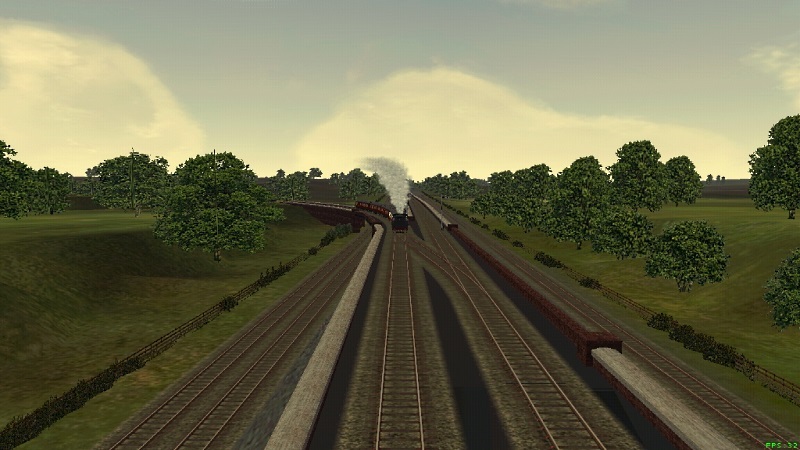 The section from Northampton to Yarwell Junction was finished tonight so now it's back to Market Harborough to finish Market Harborough -Seaton-Yarwell Junction. About 20 miles I think. That will leave the last 8 miles into Peterborough as the final section to complete V2. Even though I'm managing to do quite a bit most days, these last few bits seem to be taking forever. 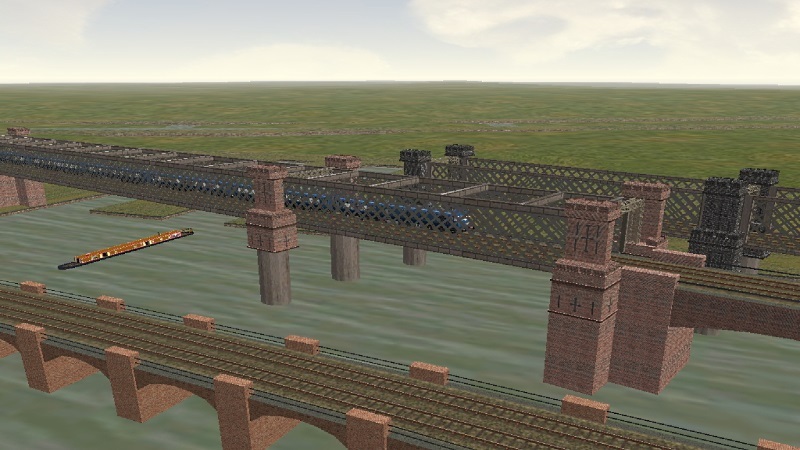 7.00 p.m. February 28th 2015 , a notable time in the development of Thames Trent with the final signal added to version 2. Hopefully everything will work as planned and I wont find any major problems in the next few weeks. A couple of grabs of a Market Harborough based G2 leaving Wisbech Sidings, Peterborough with a mixed freight back to her home base. The second grab shows that last signal. 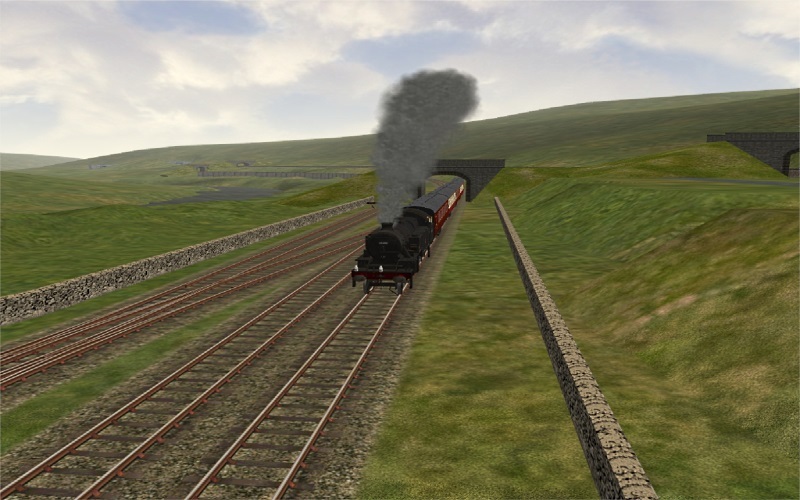 I'll now get time to actually drive the route, as activity creation should start in earnest by next weekend. With already close to 20 basic new activities in the embryo state, at least another 10 thought of but not started yet, + 20+ modified acts from V1, I'm hoping that at least 50 activities should be ready before the route is uploaded to UKTS. All by my planned completion date of April . No decorating this spring . No decorating this spring . Mmmm . . . it's all right for some! Superb, really looking forward to the release of v2. A little update on V2; 20 passenger activities completed and hopefully I will be able to start a few freight activities over the weekend. As a break from activities, I've been dabbling with V3. A few grabs to give some idea of the major civil engineering and new models that will be needed for this extension. V3, sounds like a plan to me. Must take a shed load of patience as well as skill, Clive. Looking forward to V2 and onwards with V3, thank you. Spot on . There were 2 natural extensions: to Leeds, or Manchester. 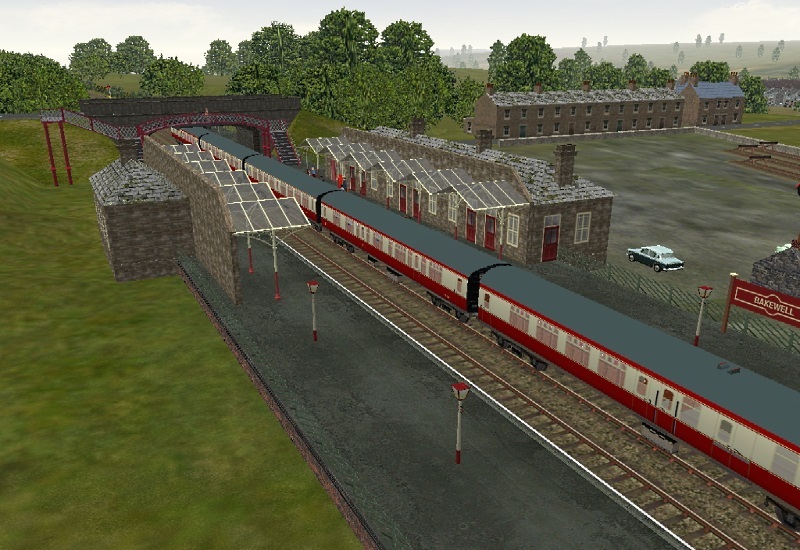 The line to Manchester will be much more interesting to build, and only about 90 miles, including the Hope Valley line. I guessed it was that route,I was doing some research for some activities for version1,and found virtually all St Pancras-Manchester trains went that way,and not via Sheffield,also for a while(approx 1958-61) the Manchester trains were hauled by Brtannia's 6 were allocted to Manchester Trafford Park. As aside during WW2 there was a heavy AA battery near Ambergate,it was placed there for protection of both Derby, mainly to protect the Rolls Royce factory,and the railway,as Ambergate was a important junction,my Dad was a AA Gunner there. It was one of the first places to have radar controlled Anti Aircraft Guns,instead of sound locators,(hopefully it's off the official secrets list now). Hi Clive, really pleased with V2 of this route and I am presently trying out the many activities. 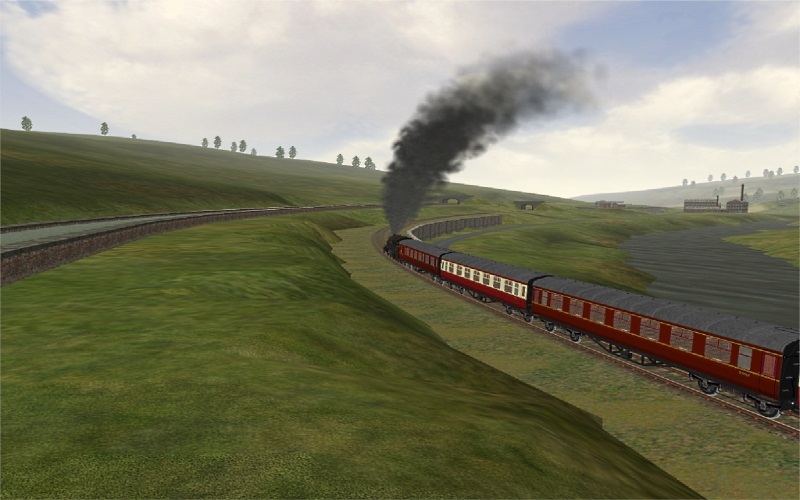 I am pleased to hear that you have a V3 on the cards, which will really add some nice scenery through the Hope Valley. Lots of viaduct building on this stretch. Keep us all informed of your progress Clive, as and when you get the picks and shovels in motion. I think you will need some heavy plant rather than picks and shovels for this extension. lol. .....Gulp........!! I don't know how you do it Clive, but Good Luck with it.....! 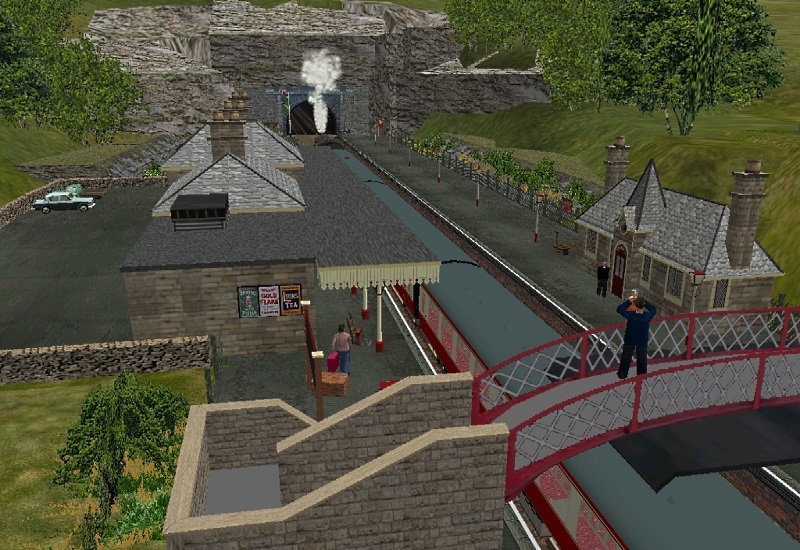 A long time since I posted anything but V3 is taking some major model making and scenery manipulation. I've finally finished the 23 miles from Ambergate to Buxton and included a few grabs. 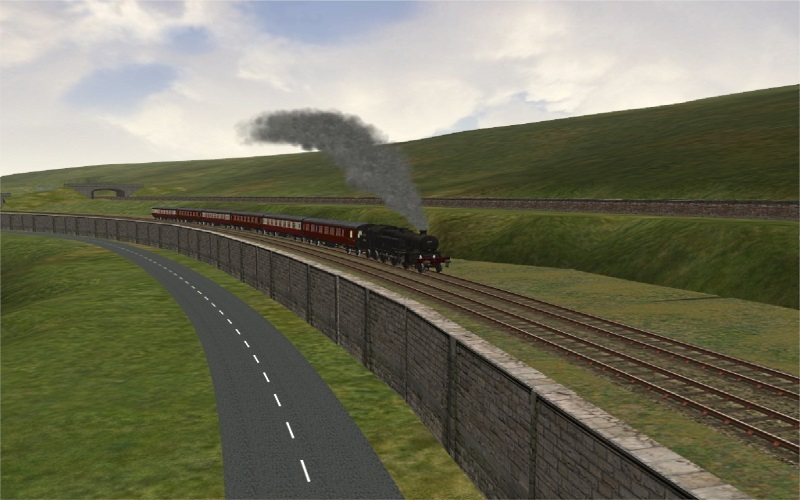 Scenery is also complete from Peak Forest Junction to Doves Hole Tunnel, and the track laid as far as Chinley and through the Hope valley to Dore. A few grabs of those bits later. As was to be expected the wait was worth it! 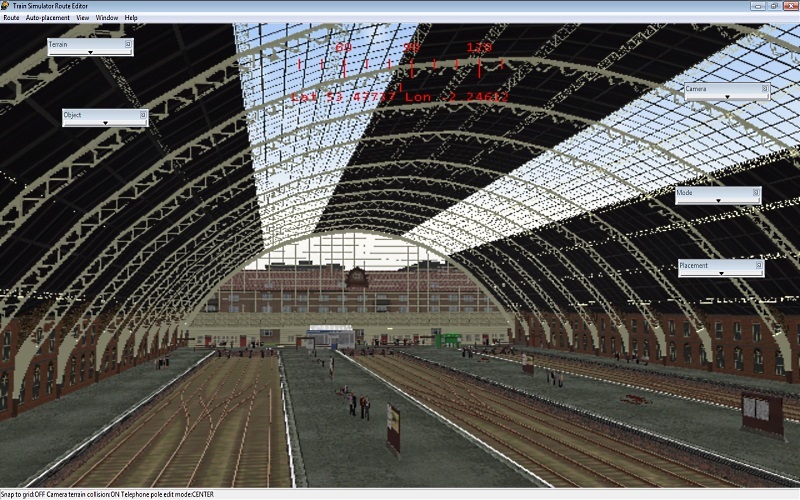 ALL of the screenshots show what excellence can be achieved in MSTS and you have certainly achieved it! Ilma and I have driven through this area both on holiday jaunts to Ashbourne and day trips to Chatsworth, and you have certainly captured both the appearance and feel with this superb work. 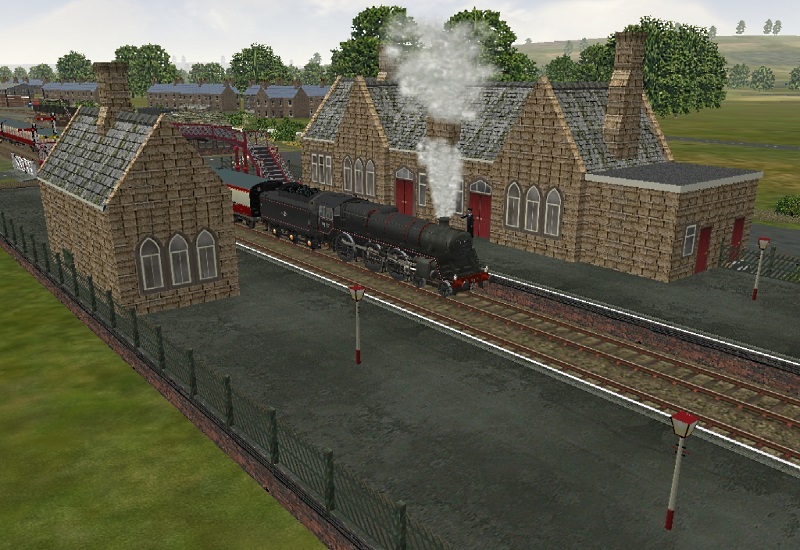 For sure this will be a superb addition to Clives Route and I'm positive that this will be another winner for MSTS. wow, fantastic work Clive! Looks really good! Top class route which is only going to get better with the extensions. 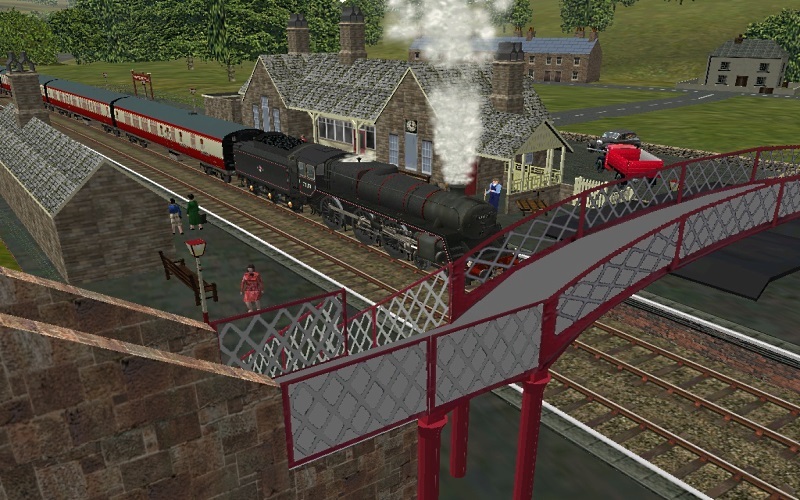 With the Hope Valley line now completed, another little taste of how the route is developing. 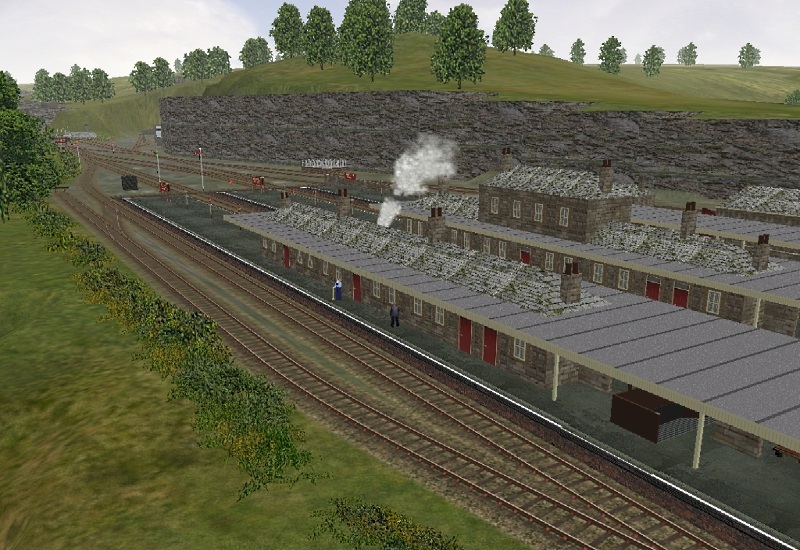 Once I've finished checking/compacting the latest version for my testers to play with, it's the final 19 ish miles from Chinley to Manchester. 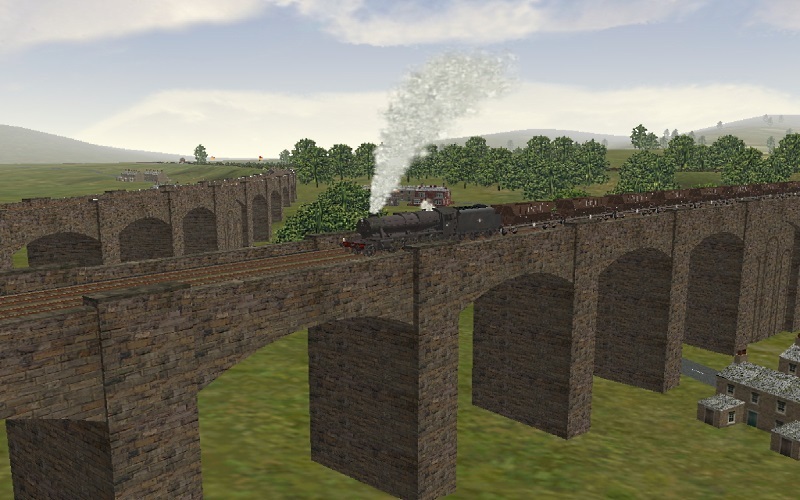 A pair of viaducts, just north of Chapel en le Frith, with Manchester splitting off to the left and the Hope Valley/Sheffield line to the right. 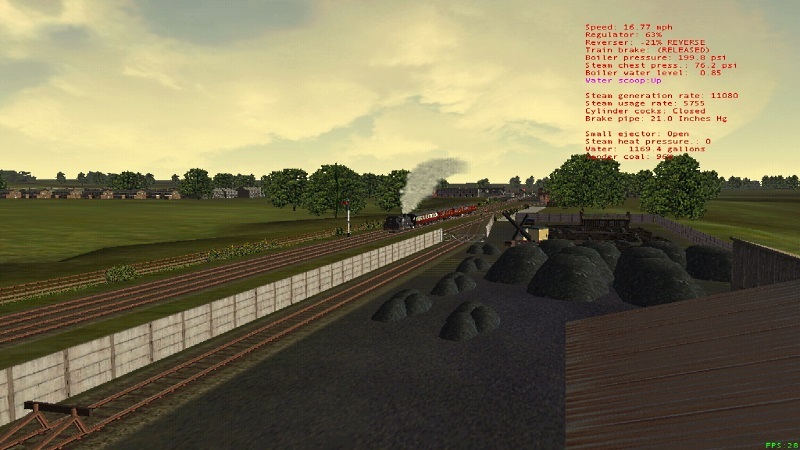 It is actually a triangular junction with the Manchester to Sheffield line running on a high embankment hidden by the tree line in the distance. Tunstead Quarry. 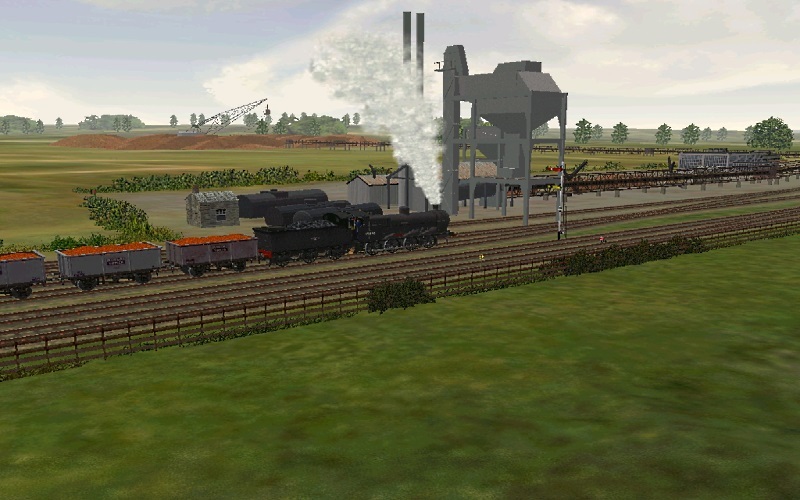 An 8F departs from Tunstead Quarry with a mixed train of loaded and un-loaded 40 Ton Bogie Hoppers. 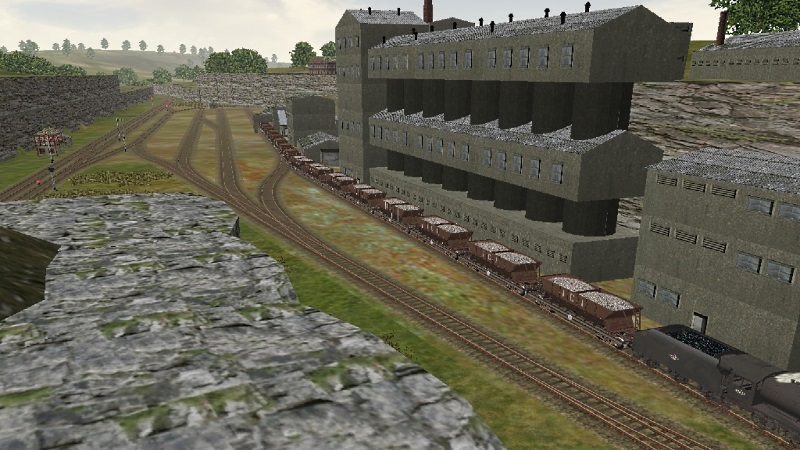 The Tunstead Lime kilns are in the foreground. 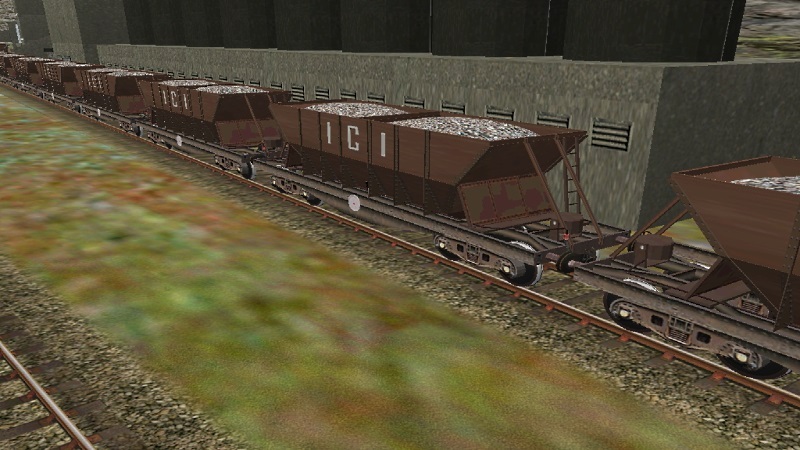 ICI 40 Ton Bogie Hoppers. A common site in this area but as there was no model available on UKTS, a new model was required. This is a couple of grabs of my final versions. One loaded, one empty. 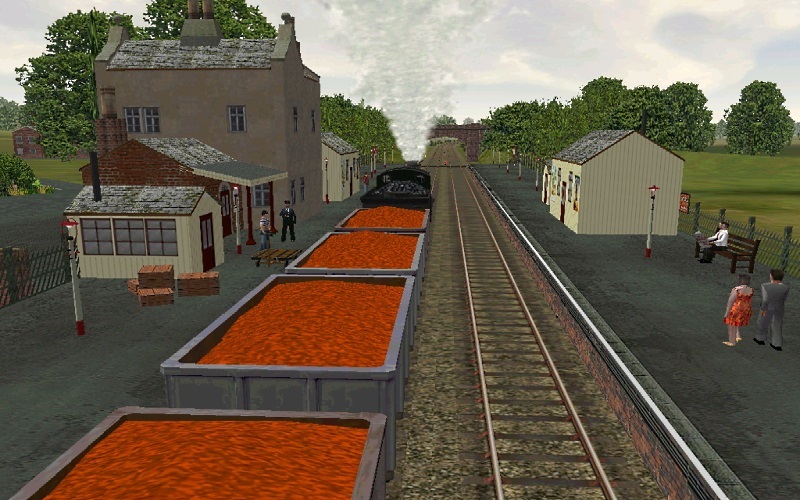 Eventually they will get uploaded to UKTS. Note to Mike - I'm pretty sure the Midland line didn't go into Manchester Victoria; wasn't that the Great Central from Sheffield? 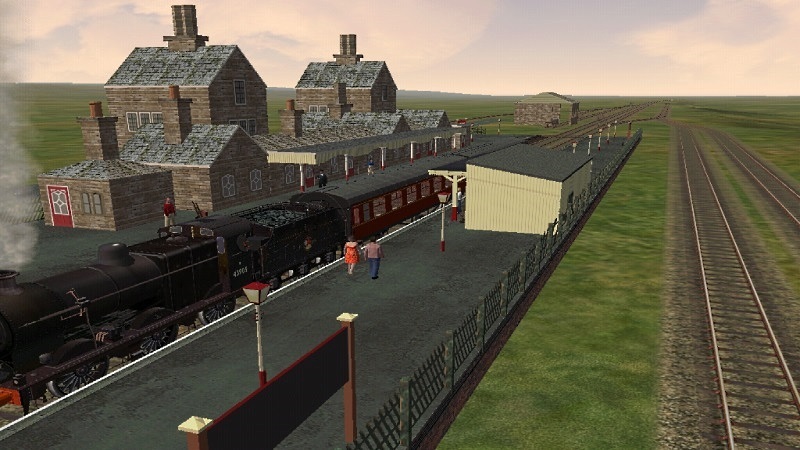 Wasn't the Midland Railway terminus at Manchester Central? I believe this came about when MR joined the Cheshire Lines Committee following continuing friction with the LNWR? Yes it is Central. I missed Mikes typo. From the photos I have, it was very similar to St Pancras. 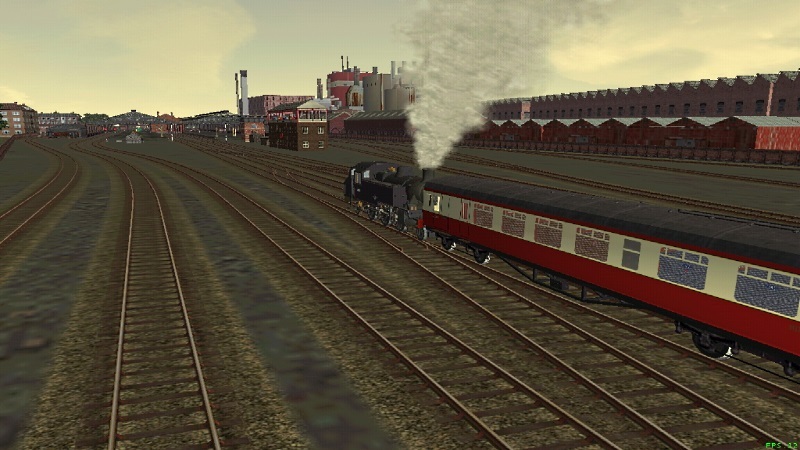 Just to further clarify the LNWR, GCR and North Staffs Railway ran into Manchester London Road (Piccadilly) whilst mainly LYR ran into Manchester Victoria. As the forum seems a little quite, another update seemed appropriate. 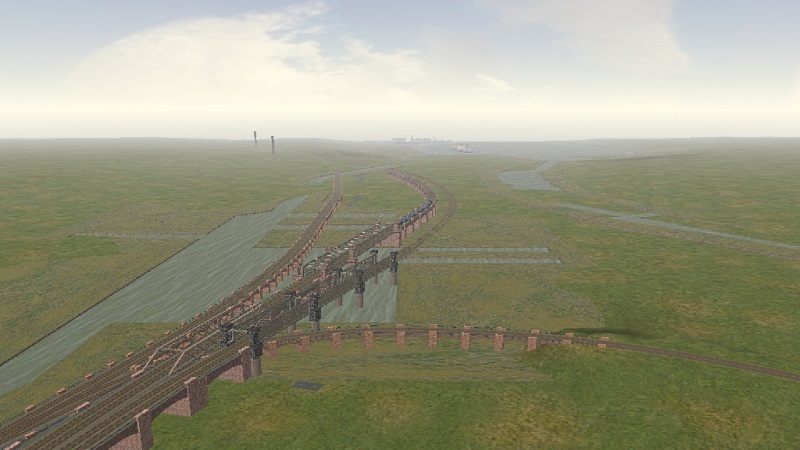 Scenery was completed on the New Mills - Stockp[ort (Tiviot Dale) section as far as Strines and as far as the Manchester end of Disley Tunnel on the New Mills - Heaton Mersey section but it was getting complicated working out where bridges were needed because of the various suburban lines crossing the route. 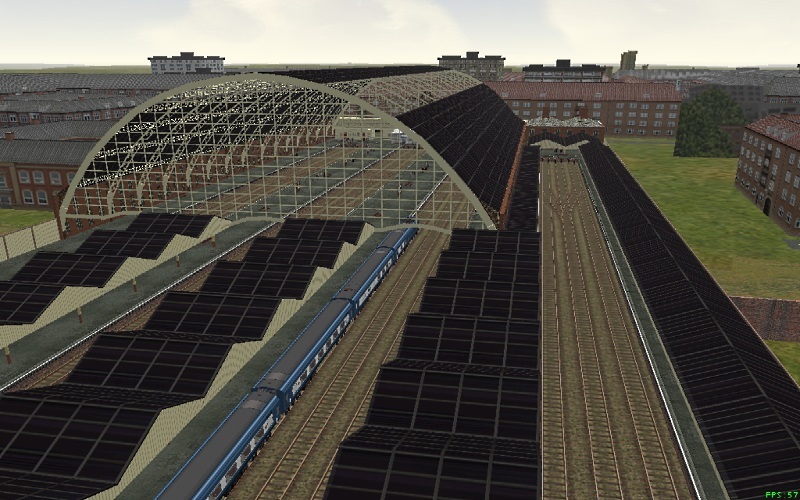 I decided it was the right time to complete all of the trackwork into Manchester Central + the associated goods yards. That was completed a couple of weeks ago, and now I'm working out of Manchester back to where the scenery was completed. Progress is slow but steady with a lot of new models necessary. 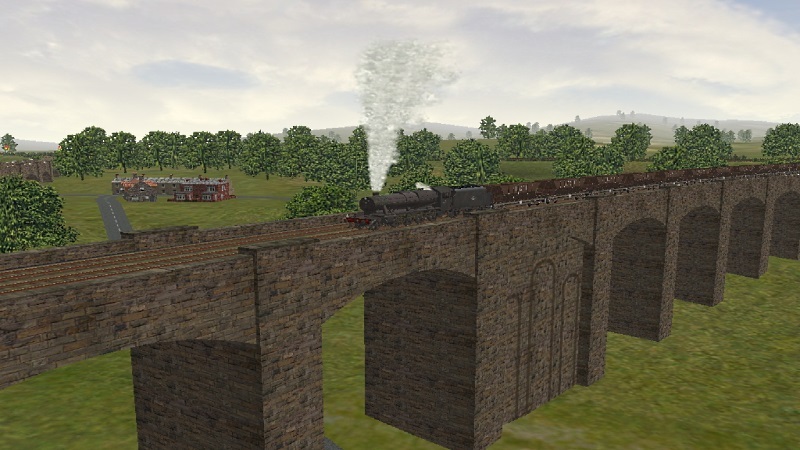 The last mile approaching the station was on viaducts and crossed the Bridgwater canal. 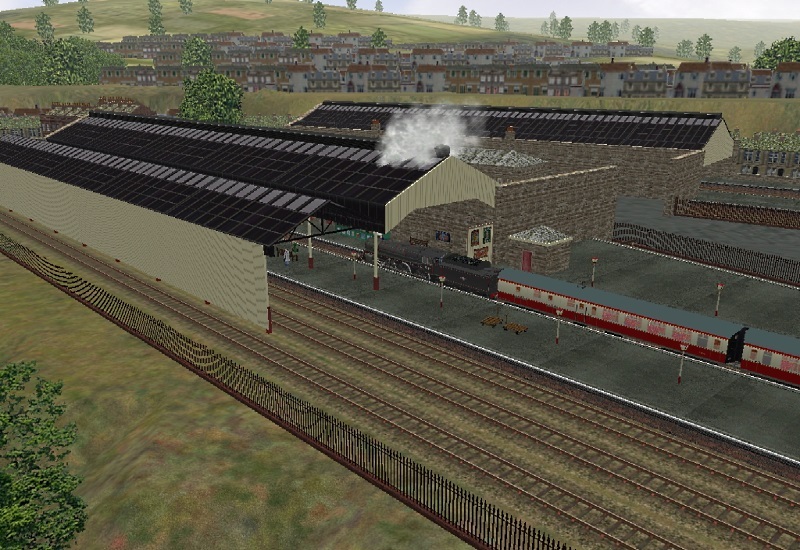 A start has been made and a few grabs of Central and its signal box. 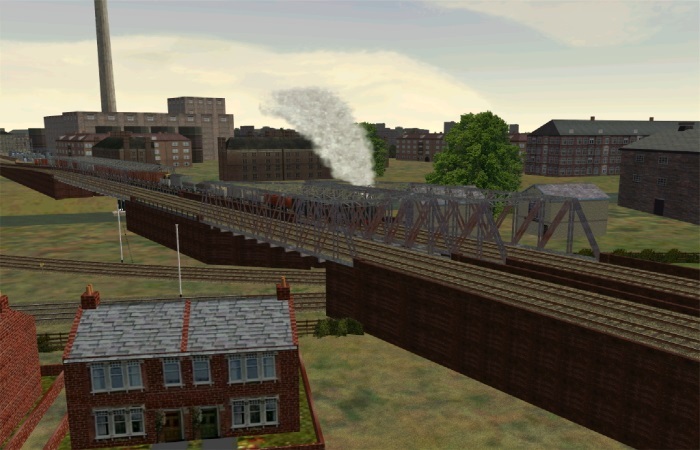 Next to be built is the viaduct from Knott Mill towards Old Trafford which runs parallel to the Midland viaducts, and from Castlefield Junc to Ordsall lane which goes under the Midland viaducts. 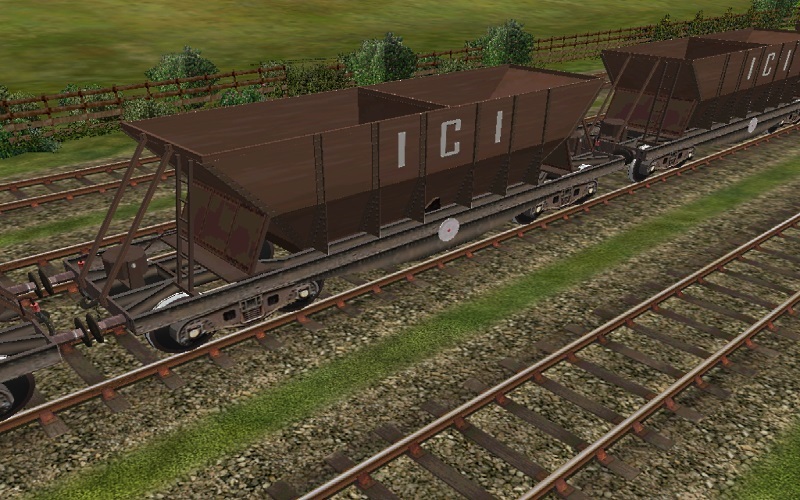 I hope I calculated the various ground and track heights correctly to give the necessary clearances. Clive, "Thames Trent V2 is coming"? Now I am totally confused! 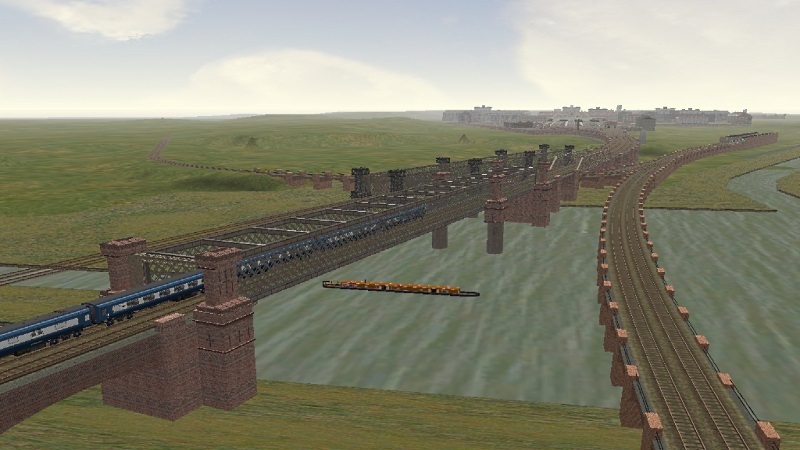 I have had a route from you for a little over a year which calls itself "Thames Trent Version 2". Clive's post back in March 2015 referred to this extension as V3. What an absolutely brilliant piece of work and I am in awe of your skills and dedication, It really does prove the old adage "that all good things are worth waiting for"! Many thanks for another excellent set of screenshots. This is about V3 now. I just didn't see the point in starting a new post. I think I mentioned that the last mile into Manchester was built on viaducts but not just one but several of varying types and materials. These are taking all of my time at the moment although the end is in sight. A few grabs although the length of the various structures makes taking grabs difficult when trying to reflect their sizes. Cornbrook Viaduct 2 with Castlefield viaduct (still under construction) behind it. Cornbrook number 2 in the foreground, Castlefield to the left, the Line from Victoria to the right. All pass over the Bridgwater Canal basin which will be filled in where necessary to create the wharves once the viaducts are completed. A couple showing more of a close up view of the lines passing over the canal.